Whilst the packaging is a little bit different, it's still a roll on. Instead of being a "wet" formula like the original roll on, it's a solid deodorant. I find these solid deodorants a lot easier to use, as they don't leave my skin feeling wet, and also doesn't rub off onto my clothing. My only pain point about this packaging is the fact that you can't actually see how much you have left, so when you've come to the end it can be a little bit of a surprise. 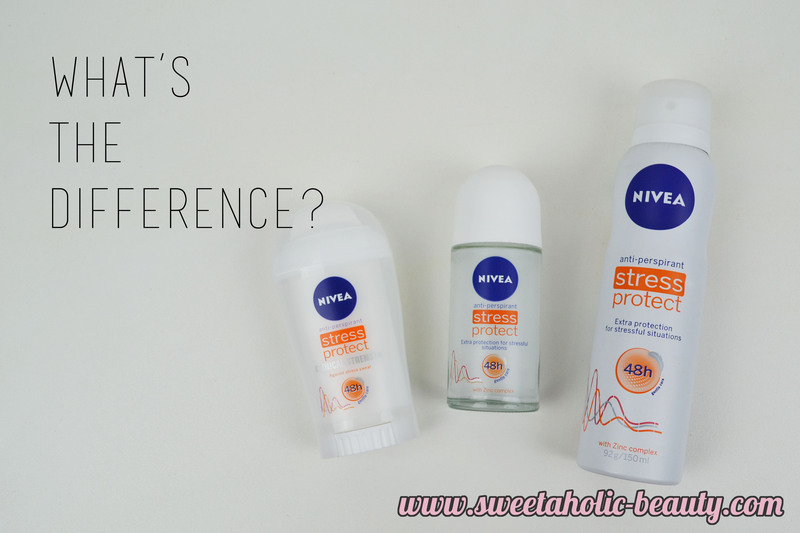 So, what's the actual difference between the Clinical Strength, and the regular? The regular Stress Protect keeps my fresh for a long time. I feel like I can go almost the entire day without having to reapply. I also found that with the original, I did need a quick top up if I felt like I had any kind of odour. However, with the Clinical Strength, I have the confidence that I'll be sweat (and smell) free all day long, without the need to reapply. This one lasts a lot longer than the original and really helps deodorise and keep any bad smells at bay. 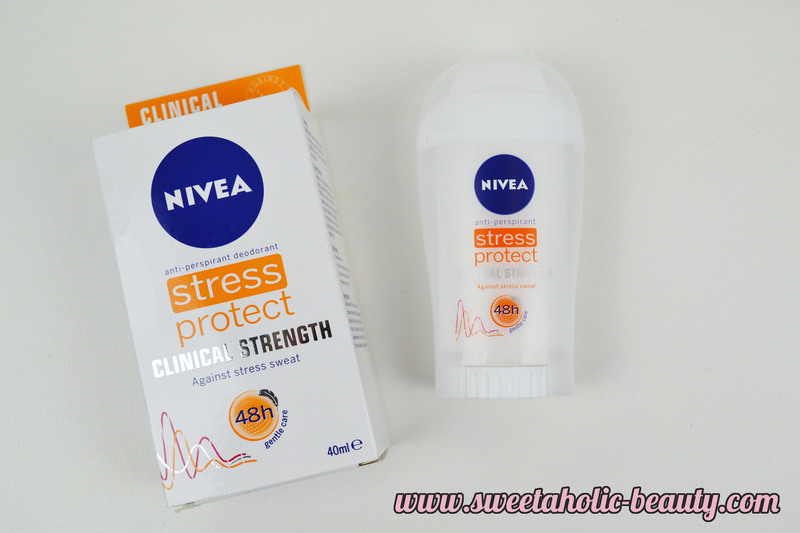 Since trying the Nivea Stress Protect Clinical Strength Anti-Perspirant, I've found that I'm really loving it. I was a bit embaressed to admit that I preferred a "clinical strength" formula, as people often mistake these ones for people who have bad B.O, but since using it I realise it's just a much stronger formula and better for long days, or yes, people who are prone to sweat more. If this sounds like something you need in your life, definitely give it a go. You won't regret it. I will definitely be repurchasing this to continue using in summer. I may switch back to the original formula in winter as I won't sweat as much, but for now I'll stick with my Clinical Strength. 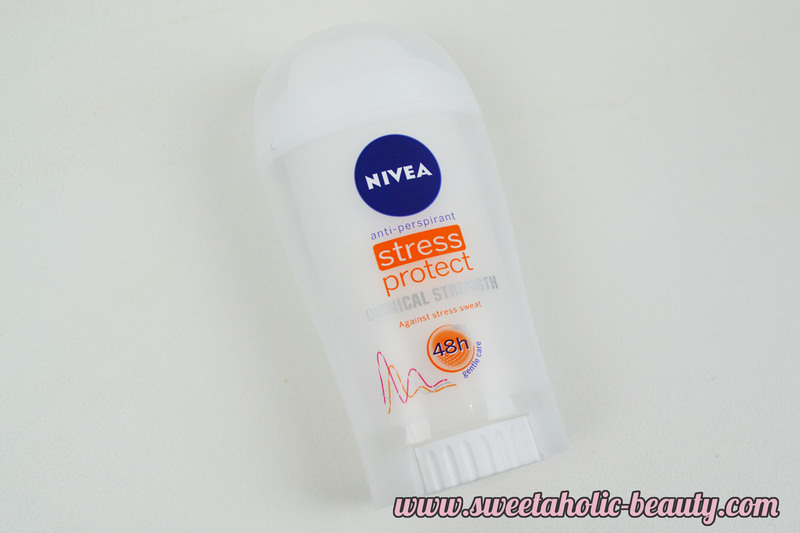 Have you tried the Nivea Stress Protect Clinical Strength Anti-Perspirant yet? If so, what are your thoughts?